Everyone who looks skyward eventually learns that light pollution is a growing problem for astronomers, be they professionals or amateurs. This growing problem diminishes what can be seen and the amount of detail that can be seen as we marvel at the wonders of the universe. But don’t give up. 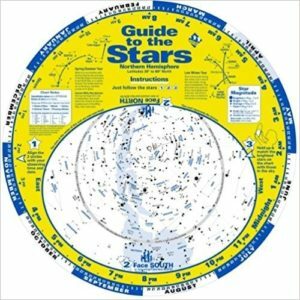 This is one of those situations where a little knowledge and a little planning can help you deal with light pollution to help provide the best observing experience. When we talk about light pollution we are talking about two forms, ground and sky. Ground light pollution comes from your immediate surroundings. Sky light pollution is caused by the projected glow of the cumulative light of the area. We often talk about the sky glow dome over a large city that comes from the collective glow of the highway lights, lights from buildings and lights from other sources. We will discuss each kind of light pollution and how you can deal with it to plan and enhance our observing experience. We will also talk about the types of targets that are more impacted by light pollution and those that are less affected by light pollution. 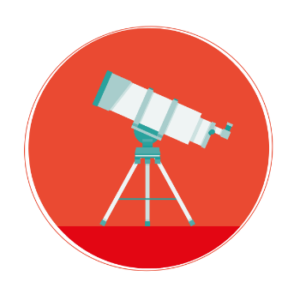 With a little planning and picking your targets carefully, we can have a wonderful observing experience that is optimized to the local conditions. Ground light pollution is the light pollution that comes from your house lights, your neighbor’s house lights and the street light in front of your house. It can come from a nearby parking lot or hospital or other commercial sites where they keep big lights on all the time. For the most part, we are talking about lights you can see or they are close enough to light the area immediately around you. If you live in the country, where houses are spread out and there are no close by commercial buildings or street lights then this may not be a problem for you. But if you are like most of us and live in a city or a bright suburb then ground light pollution is something you will have to deal with when you are observing the sky. Ground light pollution is also something you can directly affect and perhaps reduce with some effort. The effect of this type of light pollution is on your eye. Your iris, the colored part of your eye, controls how much light is allowed to reach your retina which is where your light sensor cells reside. It does that by expanding or contracting the size of your pupil, the black center of your eye. If too much light reaches the retina your eye can be damaged. In order to see as much as possible when looking at the night sky through binoculars or through a telescope eyepiece we want our eyes to fully dark adapt, to let in the most light possible. As we are looking at things in the sky that are dim we want our eyes to be as light sensitive as possible. To experience dark adaption in order to understand how it affects what we see, stand in a brightly lit room in your home at night. Close the shades or the blinds to minimize any light from outside. Now, turn off the lights. Initially, you may not be able to see anything as your eye is adjusted to the bright room like you were in a moment ago. The room may appear completely black. After a few moments, your eye will begin dark adapting, picking up the traces of light that are coming through the window, past the shades. Perhaps light will leak in under the door. The iris will contract and your pupil will expand to let in more light. The full process can take 20 minutes or longer until your eyes fully dark adapt. As your eyes adapt, the faint amount of light in the room will begin to allow you to see things. First the outline of the covered window. Then maybe the chair across the room. The longer you stay in the dark the more your eyes will dark adapt and the more you can see. 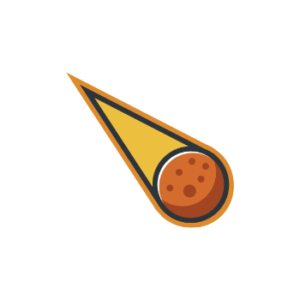 To test this outside, pick a night when there is no moon. Step from your brightly lit home to the darkest location you can find immediately outside your door. As you look up to the sky you may see very few stars, then slowly more stars will appear. This will progress over the next 20 minutes until your eyes dark adapt to your local ground lighting level, letting in more light and letting you see more stars than when you first stepped out the door. Of course, this assumes your outside area is darker than the inside of your lit home. 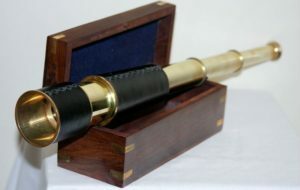 This will happen at the eyepiece too. Try the same experiment, stepping from the house, but this time put your eye to your binoculars or the eyepiece of your telescope and just watch. Over time you will see more and more stars in the eyepiece as your eyes dark adapt. In order to achieve the best dark adaption of your eyes, you need to find an observing location where there are the fewest lights in your line of site. If possible, pick a spot where passing car headlights cannot be seen. Unfortunately, 20 minutes of dark adaption can be undone by a quick flash of car headlights going by. Now you have to wait through the dark adaptation process again. If you forget something in the lighted house and run in to get it you will completely lose your dark adaption and you will have to wait another 20 minutes for them to get as adapted as they can. When your eyes reach their best dark adaption for your surroundings you will see the most detail in the sky and at the eyepiece. If you can’t avoid all light sources, consider ways to block them. Place a tree or a fence between you and the light. Consider putting up some kind of screen. Place a building between you and that street light. Wear a hood to block as much surrounding light as possible and place it over your head as you look through the eyepiece. Not only will this allow your eyes to better dark adapt but it will prevent stray light from reflecting off the surface of the eyepiece. Some people put an eyepatch over their observing eye to allow it to achieve maximum dark adaption. When they go to the eyepiece they keep that eye closed, flip up the eyepatch and only open the eye when they are at the eyepiece. Again a hood can help to preserve the dark adaption of the eye. This type of light pollution is harder to address. The only way to deal with sky light pollution is to drive to a location where there is less sky light pollution. You may see advertisements for light pollution filters. At the time these were developed the majority of municipal lighting was based on sodium and mercury vapor lights. These output light at very specific wavelengths. Light pollution filters could filter out those specific wavelengths. They were helpful in dealing with light pollution. However, the trend in municipal lighting for buildings, streets, and roads is to go to white LED lights. They use a lot less power so the incentive to switch over is high and the trend is gaining speed. White LEDs cover the full light spectrum so light pollution filters cannot filter them out. 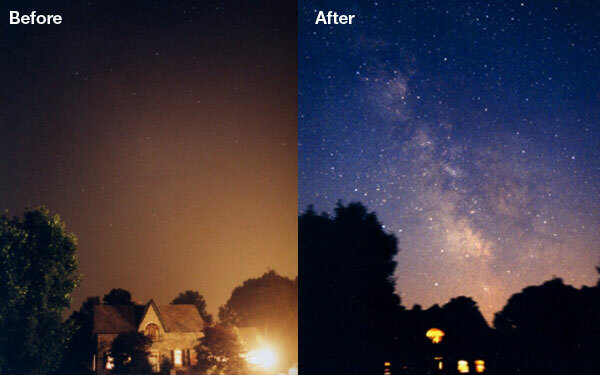 As a result light pollution filters have lost most of their value. If you know someone who has a light pollution filter, ask to give it a try. It might help in your area. But for the most part, they have become ineffective in dealing with sky light pollution. For this reason, you may hear that the best light pollution filter is gasoline meaning that you get in the car and drive to a darker location. There are a variety of tools available to help you identify areas that have less sky light pollution. My favorite is the Dark Site Finder. Using the wheel on your mouse or the +/- in the upper left corner of the map, you can zoom in or out on the light pollution map. Using click and hold you can use the mouse to move the map to find your location. The colors indicate the relative light pollution in the area. Naturally, they can’t exactly pinpoint your house or that park down the street, but the map will help you identify darker locations in your area. The colors run from a white/light gray to a black indicating greater and lesser levels of sky light pollution. This map does not address ground conditions. So you might go to a park that is in a darker zone, but if they have the ball field all lit up, that is not going to be indicated by the dark site finder map. That is a ground light pollution issue. You may hear or read comments on astronomy forums about people being in red zones or green zones. They are referring to this light pollution map or one that uses a similar scale. Rather than using colors, another way to talk about the level of light pollution in a given area is addressed by the Bortle scale. This scale was developed by John Bortle who published it in 2001. Like the dark site finder map, you can describe the level of sky light pollution based on whether you can see the Milky Way, how dim the dimmest stars you see naked eye may be and so forth. The center of a brightly lit city, like New York City, would be classified as Bortle 9. This would be a white zone on the Dark Site Finder Map. An intermediate level might be described as Bortle 4. This might correspond to a yellow zone on the dark site finder map and so on. The goal is to have a way to evaluate the sky light pollution levels so you can have an idea of what targets will be best observed from that location. And this gives you a way to describe the site to other people. I am going to tell you about which targets work best for a light polluted area and which are better reserved for darker locations. To do this I need to explain magnitude and surface brightness. Magnitude is a measure that tells us how bright a stellar object shines. The higher the number, the dimmer the object. The scale is built around Vega, one of the brightest stars in the sky. It is assigned a value of zero. The Sun is magnitude -26.74, notice the negative. The full moon is the second brightest object at -12.7. The key thing to know is that one of the ways to measure the light pollution in your area is by checking to see what magnitude stars you can see with your naked eye near the zenith, which is straight up. At a truly dark site, you can see down to magnitude 6. But at more light polluted locations magnitude 4 stars, which are brighter than mag 6, may not be able to be seen naked eye. If you look up the Bortle scale you will see that NEM, naked eye magnitude that can be seen is one of the measures used by the scale. Where things get tricky is when a magnitude number is assigned to a deep sky object like a galaxy or a nebula. While the total amount of light from a magnitude 8 nebula may be equal to that of a mag 8 star the star is a point light source while the light from a nebula is spread out over a larger area. Through some complex math, this can be translated to a value for surface brightness. 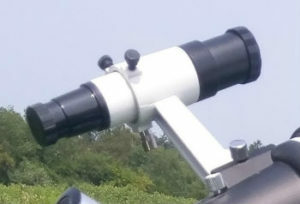 The bottom line is that a mag 8 star appears to be much brighter than a mag 8 galaxy or nebula because the light is spread out over a larger area. I am not going to cover the math. Just keep this in mind as we get to the next section. If you are in a dark area with little ground light pollution and little sky light pollution you are the envy of those who live in the glow of the modern city or suburbs. 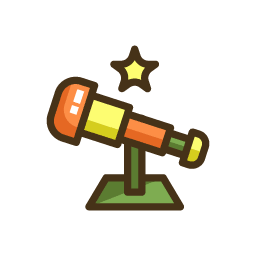 All targets will be accessible to you and will look their best in your telescope. For the rest of us, we need to take light pollution into our planning for what we want to observe. These targets are essentially points of light or a collection of points of light. As such they show brightly in contrast to the glow of the sky. Of course there are brighter and dimmer stars but in general, even in the heart of the big city, you can turn your binoculars or your telescope toward these targets and have a reasonable opportunity to observe them. Naturally, they would look better at a dark location but you can still enjoy them in your light polluted sky. These are targets that have their light spread out over an area as opposed to being a point of light. This lowers their contrast with the surrounding sky making them harder to see. An example may be helpful. The Andromeda Galaxy, also called Messier 31, has a magnitude rating of 3.44. If it were a star it would shine brightly and be visible to the naked eye even at light polluted locations. However, its surface brightness is magnitude 13.3 which would indicate that it is much dimmer than a magnitude 3.44 star. 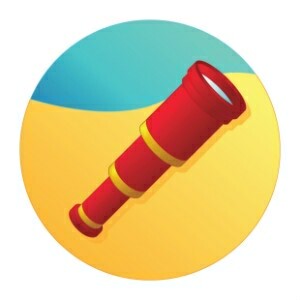 How does this translate to what we see with our eyes, with binoculars or with a telescope? I live in a Bortle 8 location. This would be dark white on the Darksitefinder.com scale. When I look at the Andromeda Galaxy from this location, using my 8” telescope, it is just a small slightly grayish fuzzy patch in the sky. But if I go to a dark red zone, approximately Bortle 6 that smudge becomes a much larger oval-shaped object with a bright core, more like what I expect of a galaxy. If I go to a Bortle 4 location, approximately a yellow zone, I still can’t see the Andromeda Galaxy with my naked eye but in my telescope, it begins to show suggestions of dust lanes and the spiral shape that we expect. The difference is not the telescope, it is the level of light pollution in the sky. At the darker locations, the galaxy has more contrast with the lower background glow of the sky. Bottom line is that it is good to know what your local light pollution situation is so you can plan your observing session. If you are at a very light polluted location, say Bortle 6 to 9, you may wish to focus on open clusters, planets, stars, and double stars. There are some brighter nebulas, such as the Orion Nebula or the Ring Nebula that can still be viewed from a light polluted location with good detail. If you plan a trip to a darker location, that is the time to focus on galaxies and nebula and other targets with low surface brightness. You may be able to detect them at the light polluted site, but they will be more satisfying at the darker location. Learn about the light pollution level in your observing area. Take this into account and you will learn to enjoy the sky and avoid the frustration of not being able to see your targets.